Parking Lot - megandraws's JimdoPage! Didn't get a chance to do any cartooning this past busy weekend. But we did get lots of housecleaning done and went to the majestic promised land known as Wegmans! While loading the groceries into the car, I noticed the woman parked next to us who was also headed out with lots of food. 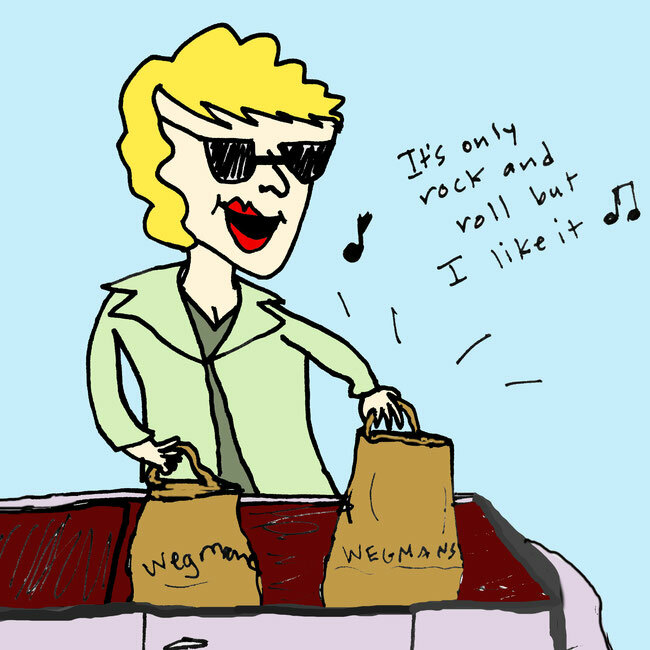 She had a super cool convertible and sleek blazer ensemble and badass sun glasses. And she was blasting the Rolling Stones. 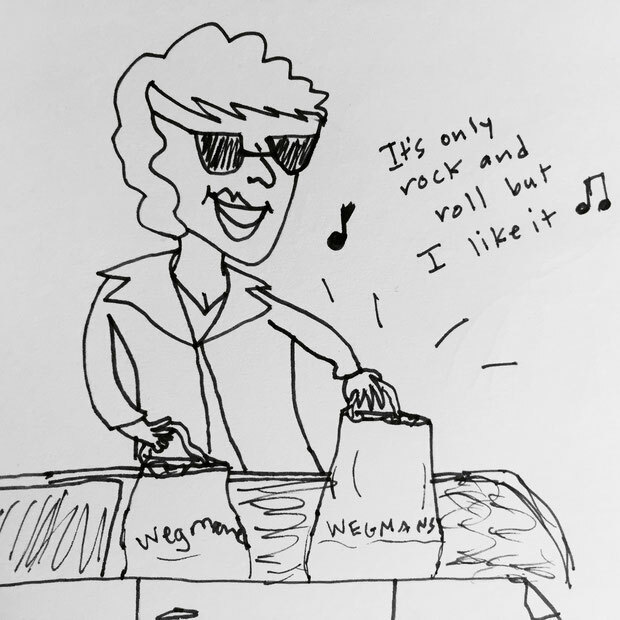 Way to make a typical Sunday at the grocery store look so fashionable, Wegmans lady! You are an inspiration to us all.